Although the countries where Compassion ministers in Asia are widely diverse, there are a few commonalities to daily life across the region, based on the economic status of the families we serve. Day-to-day routines in these communities can be quite different from those of Canadians. Here’s a peek into what many people experience. The day often starts with fire. Many Compassion-assisted families in Asia don’t have access to electricity at home. These families start their day by lighting a fire in their kitchen so they can cook their daily meal—often rice or another basic staple. Many children will gather wood or kindling in the area surrounding their home to help start the fire. 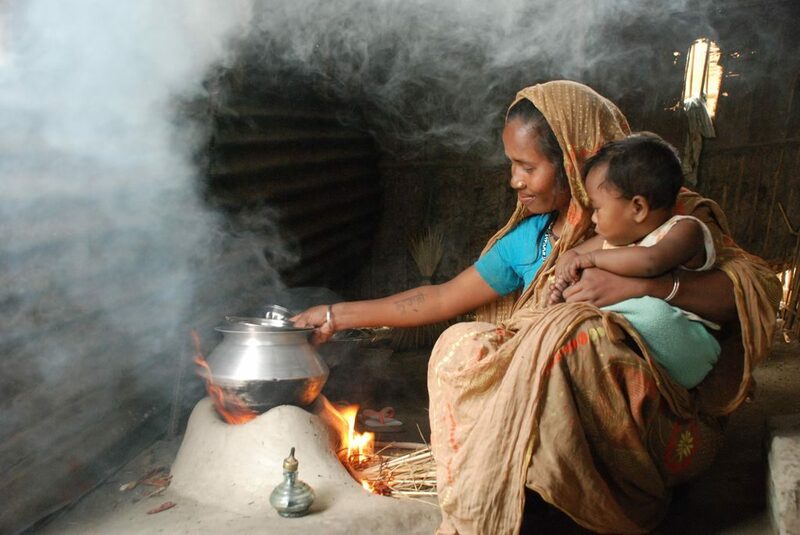 Here, a mom in Bangladesh tends a fire to begin cooking her family’s meal. Suku cooks at home holding her child in her arms. Finding water is a big part of each day. Some families Compassion serves in Asia have access to water piped to their homes, but others must gather water themselves. Women or children will visit a well or other water source twice a day to have enough water for cooking, cleaning and washing. Sometimes, families will then boil the water they gather to ensure it’s safe to drink. 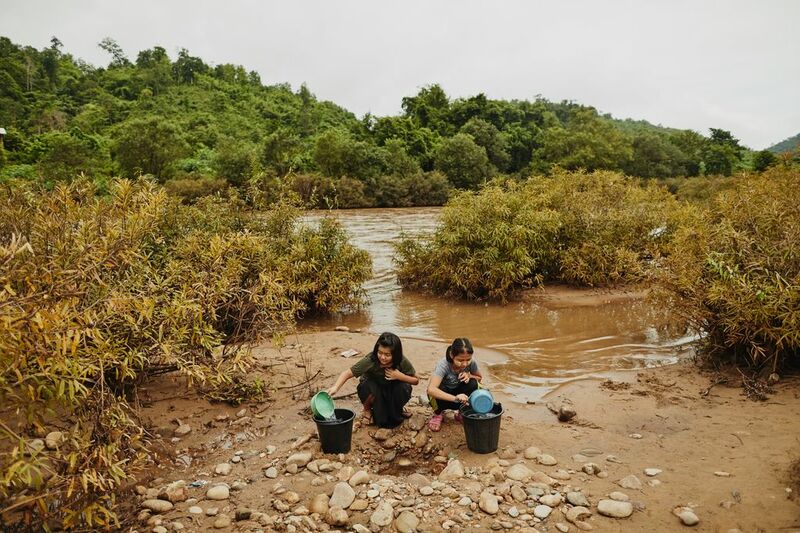 These girls from Thailand gather water at a stream, and then run the water through a filter they received from Compassion to clean it. Cousins, Mue-ngaetoo and Ae-plaetoo, collect water each morning and night and pour it into their Sawyer water filter. ___Children who can, attend school each day. Although the majority of children attend primary school in the communities where we work in Asia, the numbers of those enrolled drops dramatically in secondary school. Often this is because families can’t afford the tuition and fees, and many youth begin to help support their families at this age. 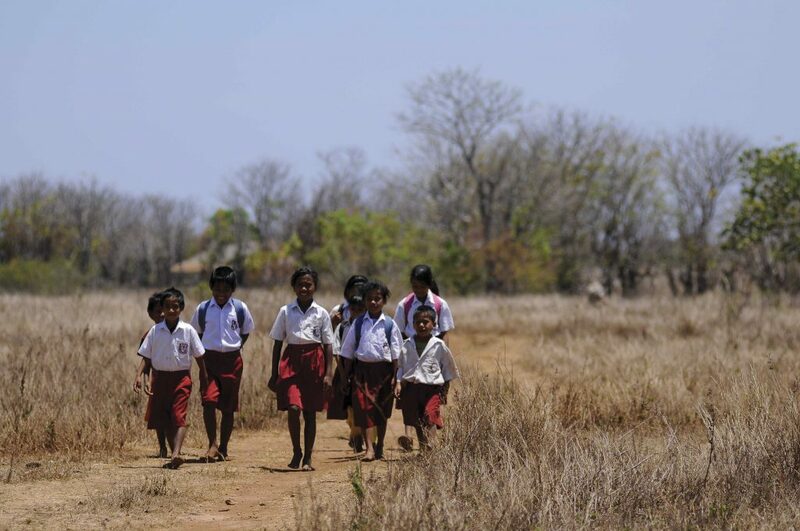 Often children take long journeys to school, like these children in Indonesia who walk seven kilometres each way! Kamalapia children walking to school in a group on a dirt road. The nearest elementary school is located 7 km away. ____Many parents work as day labourers on other people’s land. A common occupation of many parents of Compassion-assisted children throughout the world is working as labourers on farms or plantations. Parents can earn between $2 to $6 a day, but the work is seasonal and brings instability to the family during the off-seasons. Here, a woman picks tea leaves at a tea plantation in Sri Lanka and carries a bag with the plucked leaves strapped around her head. 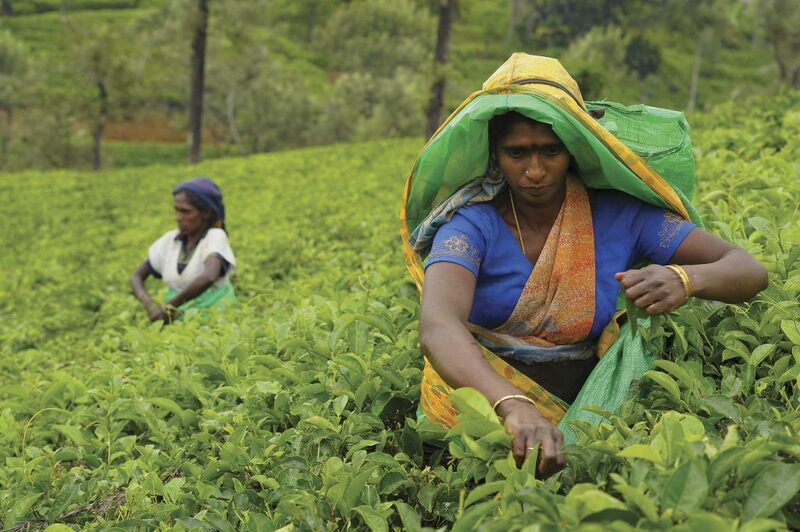 Sri Lankan women picking tea leaves to sell. ____Many fathers work as fishermen. Many dads of Compassion-assisted children in Asia work as fishermen. Depending on the method, the work can be dangerous and can take dads away from their families for long periods of time. 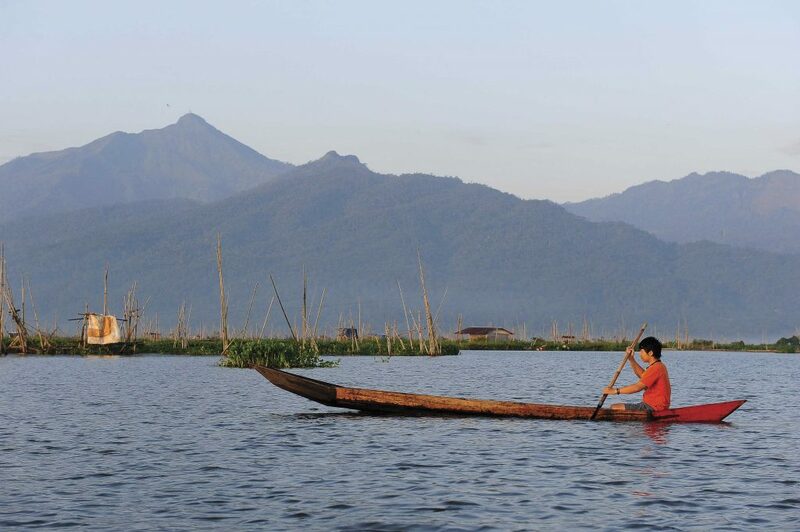 This Compassion-assisted youth paddles his fishing canoe in Indonesia. He fishes part-time to supplement his family’s income. Andistya paddles a boat down the river. ____Other parents work as petty traders. Many parents of Compassion-assisted children in Asia make their living selling various items in markets or on the streets. If they have a larger business, they may make several dollars a day, but other parents make barely enough to feed their children. Narcissa, a mom of a Compassion-assisted child in the Philippines, has been selling food in the market since she was 14. 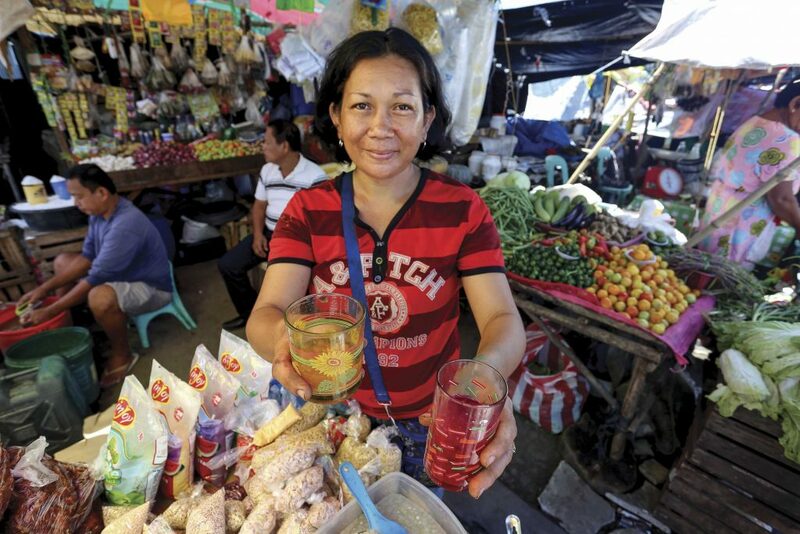 Compassion has helped her to expand her business selling fruit drinks. Narcissa selling fruit drinks in the local market. ____Religion plays a large role in community life. In many communities in Asia where we work, religion plays a large part in daily life, whether the area is Buddhist, Muslim, Hindu or other. Often the leaders of the majority religious group are some of the big decision-makers of the communities. 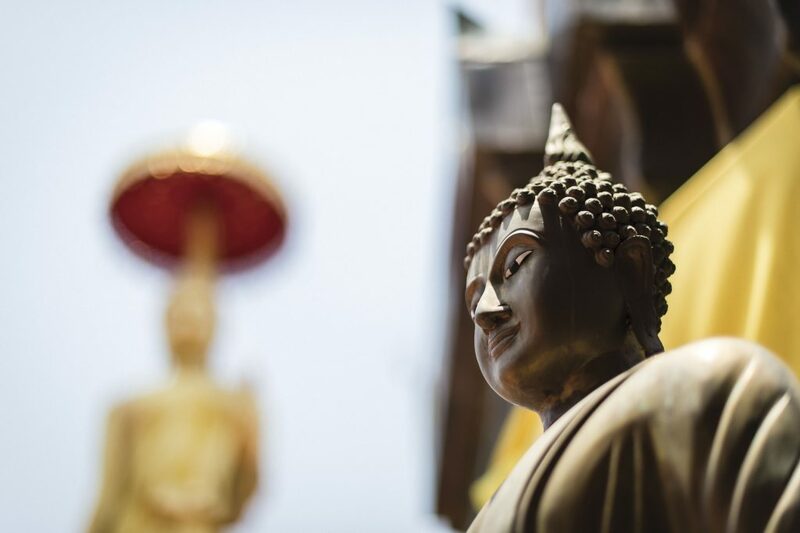 Pictured is a statue at a Buddhist temple in Thailand where people gather to pray. A Buddhist temple in Thailand. ____Many urban families live in densely populated communities. In urban areas where Compassion ministers in Asia, families live in densely populated slums in large cities. While these communities sometimes have more services, such as improved water sources, they often face other issues, such as drug use, crime and prostitution. Fires can also race through the slums, quickly destroying many homes. 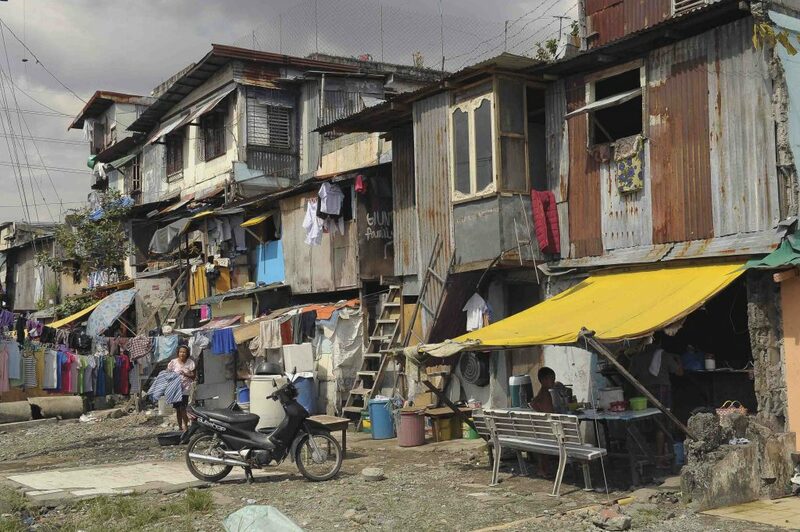 Pictured is a collection of makeshift homes in a slum in the Philippines. Makeshift homes in a slum in the Philippines. ___Some rural families live in simple bamboo or woven homes. In rural areas where Compassion ministers in Asia, families live in simple homes. Often they are made with mud, are woven from palm leaves or are made from bamboo. Sometimes, the roofs are made from thatch, which has to be replaced regularly. Thatched roofs and dirt floors can contribute to insect infestations and diarrhea, respectively, which can lead to chronic illness in families. Here, sponsored girl Naiduva stands outside her home in Sri Lanka with her mother and neighbours. Naiduva stands outside of her woven home in Sri Lanka with her mother and neighbours. ___Bedtime can look a variety of ways. Some Compassion-assisted families sleep in traditional beds with mattresses. Others sleep on the floor with a blanket or a mat. 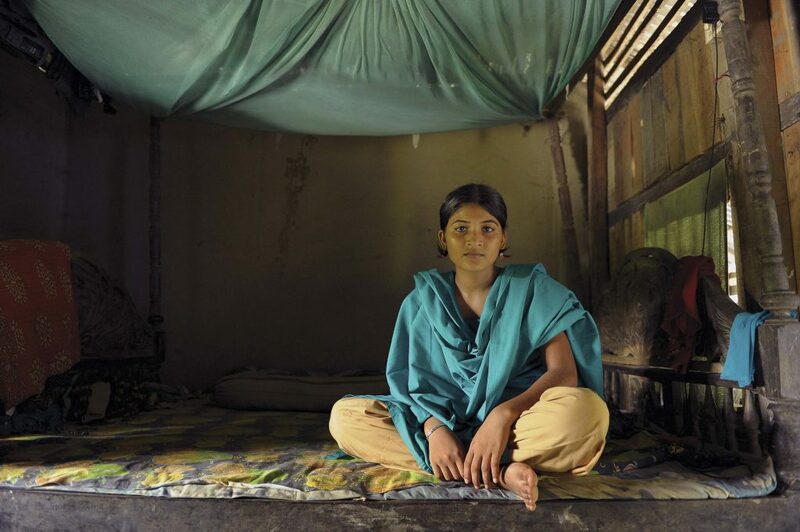 Others, like Laboni from Bangladesh, sleep on a bedframe, without a mattress, but with blankets for cushions. Some families will sleep several people to a bed. Laboni sleeps on a bedframe, without a mattress and with blankets for cushions. As you go about the various aspects of your day, from cooking your meals to getting into bed at night, consider praying for your sponsored child. Think about how they might carry out the various tasks of their day, and pray that God would be protecting them in their daily life—hemming them in behind and before.